It didn’t look like a paid attendance of 33,379 on a decent but cloud-covered night in the Queen City when you looked up in the stands. But those who turned out to see the Reds take on the Marlins in this mid-June contest got what they wanted, a Reds win. 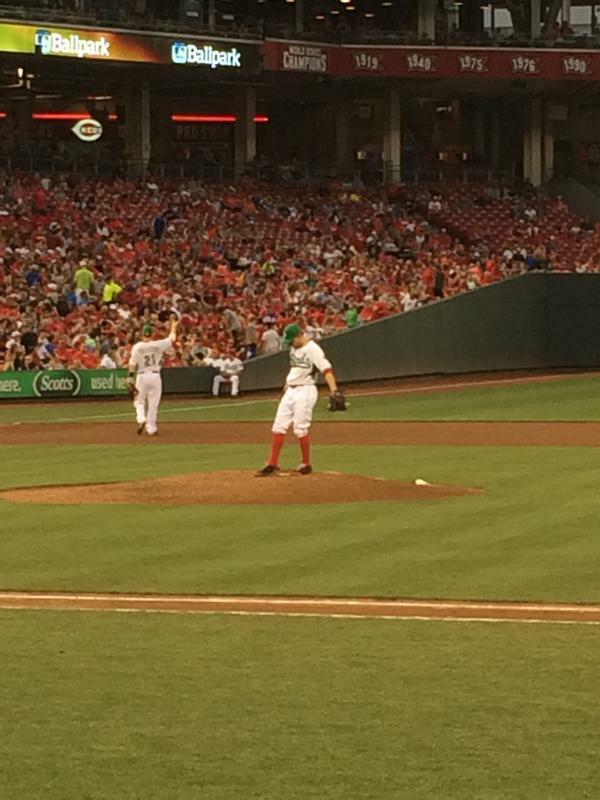 The Reds are now 2-0 this season when we attend the game. I took my wife, sister, and dad to the game. When my dad and I were walking down to our seats the PA announcer came over the loud speaker and asked for a moment of silence in honor of fallen Cincinnati Police Officer Sonny Kim. The announcer said Kim had been killed in the line of duty earlier in the morning, marking the first police officer killed in the line of duty since 2000. Very sad story and solemn start to the night. It was a great night though, the weather held up and my family had a great time. My dad said it was the best seats he had ever had and a perfect start to Father’s Day weekend. If this is the last game I get to attend with my dad, we had a great time. I banked so heavily on Christian Yelich having a big year for me in fantasy baseball, and he’s hitting .233 on June 19th’s ending. He went 1 for 4, and was rang up looking to end the first inning just after this picture was taken. 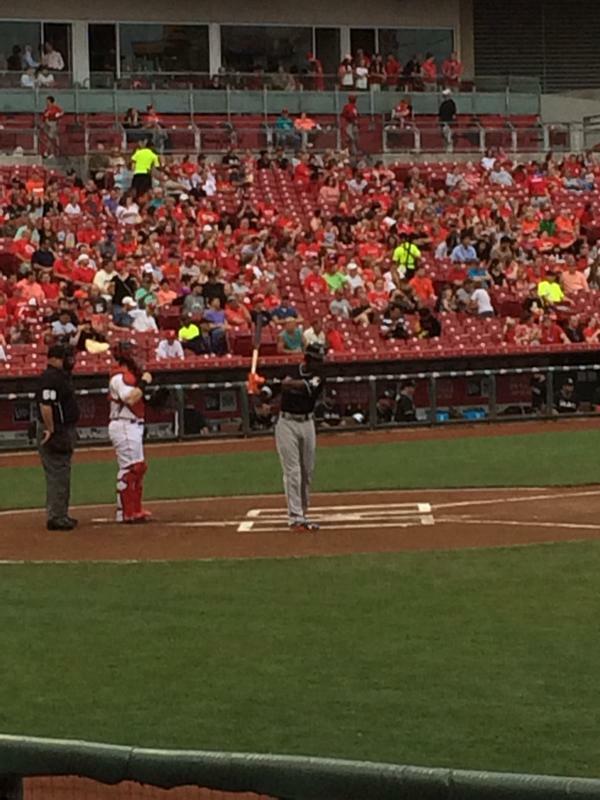 Proud to say I got to see Giancarlo Stanton play during this legendary season he’s having. He went 0 for 4 though. The fastest man in the big leagues aside from Billy Hamilton, Dee Gordon. He’s hitting .355 and leading the National League in hitting in stark contrast to Yelich. Mike Leake was real good last night. He had a no-hitter into the 6th inning when Derek Dietrich singled to break it up through the left side. Leake went seven innings, allowed only two hits, walked three and struck out seven. Leake improved to 4-4 on the year. Jay Bruce had a big double to put the game on ice late. 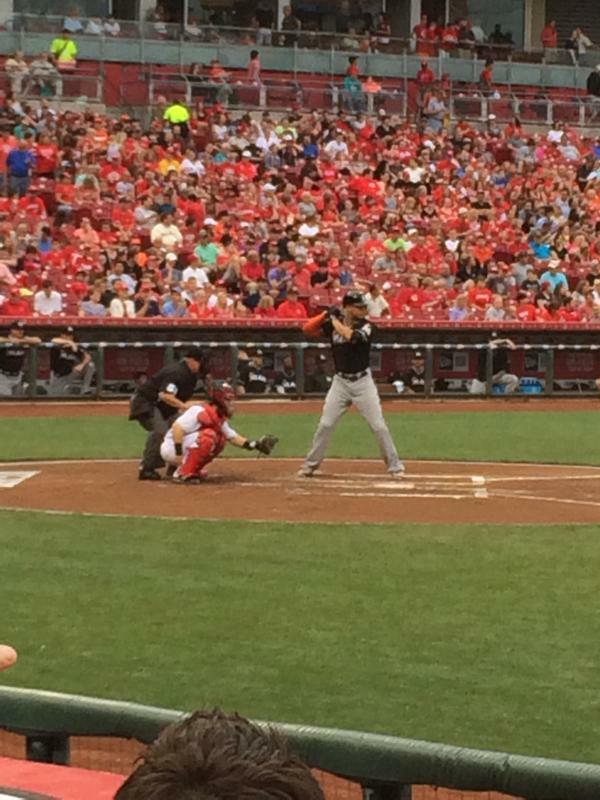 Marlon Byrd had a big home run to get the Reds on the board early. 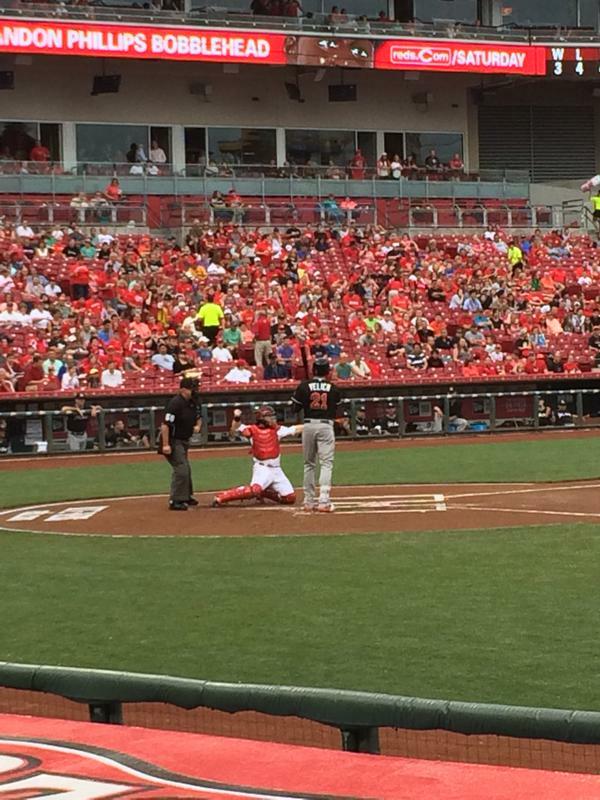 Todd Frazier made an insane stop at third base. All in all, really good night at the ballpark. 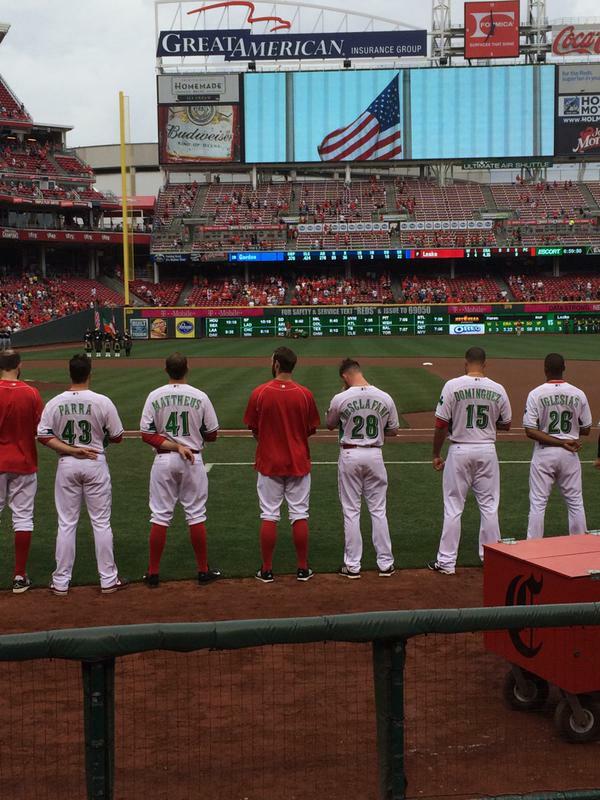 The Reds sit at 31-35, and hopes have not completely faded yet of them getting to .500 on the season.